When he arrived at the rescue, Jason was underweight with broken teeth from trying to escape a wire fence, and his age was estimated at four or five years old. Each precious animal is taken in without any stipulations other than to heal them — emotionally and physically. Then, they find loving homes for them. 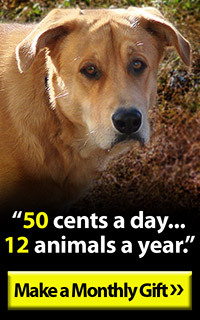 12 Hills Dog Rescue is one of nearly 20 the Rescue Operation for Animals of the Reservation (ROAR) Program Partners. They are dedicated to offering welcoming arms and hearts to animals in need. 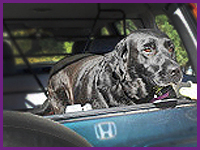 Jason, a senior dog and a beauty of a black lab, was one of those animals that Nola and Chuck of 12 Hills found themselves hesitantly letting go to his forever home late last year. It was only fitting that Jason found his home before November because that was National Adopt a Senior Pet Month! Jason immediately found a friend in Brenda, another worker at 12 Hills. He followed her everywhere in the first days and weeks after he arrived. He liked the surroundings of the farm, working his way up from the bottom kennel, and then gradually asserted himself onto the porch of the house. Finally, he found his way into the large dining room used to greet guests and potential companions. Chuck’s big desk was Jason’s hiding place and no amount of coaxing would move the tenacious dog once he found his special spot, especially when catching a nap or sleeping soundly. 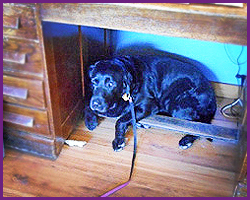 Chuck’s big desk was Jason’s hiding place and no amount of coaxing would move the tenacious dog once he found his special spot. Unfortunately, Jason developed arthritis, which was noticeable when there was a change in weather. Jason was removed from the adoption list once he began taking medication and minerals for his joints. His needs, coupled with his age, would typically deter most adopters from considering him anyway. Plus, Nola and Chuck weren’t sure that an adopter could commit to the care — financially or emotionally — that Jason needed for his hip problems. That was before Emily came by the farm to visit. She brought her own senior dog, which encouraged Brenda. Experience indicated that this may be the one person who could care for and love Jason. Everything felt right about the placement, so 12 Hills began the paperwork began to send Jason onto his new home. Celebrate all the wisdom your beloved pets have shared with you. 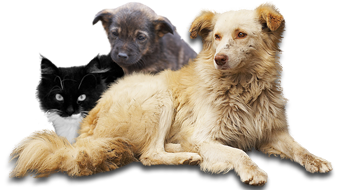 Create and personalize your own web page to honor the animal wisdom in your life, sharing their pictures and stories.